We do not manufacture machines, nor do we make gears, we simply design, manufacture and service the consumable tools used in gear manufacturing. Offering a full range of gear cutting tools, including Hobs, Shaper Cutters, Shaving Cutters, Milling Cutters, Rack-type Cutters and more. We are not just a supplier; we work closely with our customers to improve what they do with our tools. Acedes manufacture tools for a very wide range of components including, spur and helical gears, splines, serrations, chain sprockets, pulleys, rachets, worm-wheels, special forms and more. 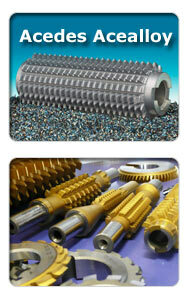 We are particularly experienced at producing tools for more complex shapes including asymetric profiles. 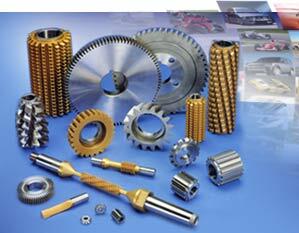 Acedes Gear Tools work closely with steel manufacturers to develop new combination. 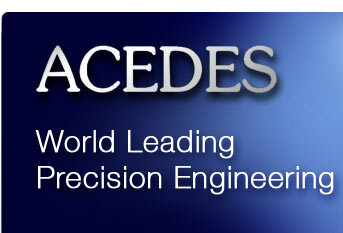 Any grade of HSS or Solid Carbide, including M2, M35: ASP2023, ASP2060: S290, S390, S590. 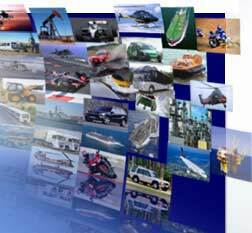 Balzers Coatings include TiN / TiCN / TiAIN / G6 Alcrona and more.